Here are a few experiments we have tried. Click on any of the images to enlarge. You can also view our Full Gallery of Experiments and Interesting Photos. 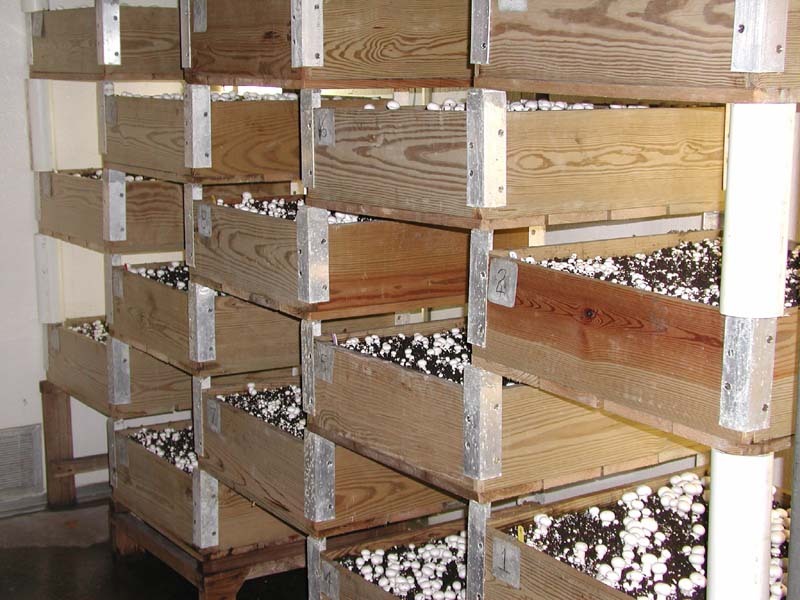 The contents of the mushroom kit can be transferred to a different container for fruiting purposes. These containers can be aquariums, clear plastic animal cages, and even soda bottles with the tops cut away. 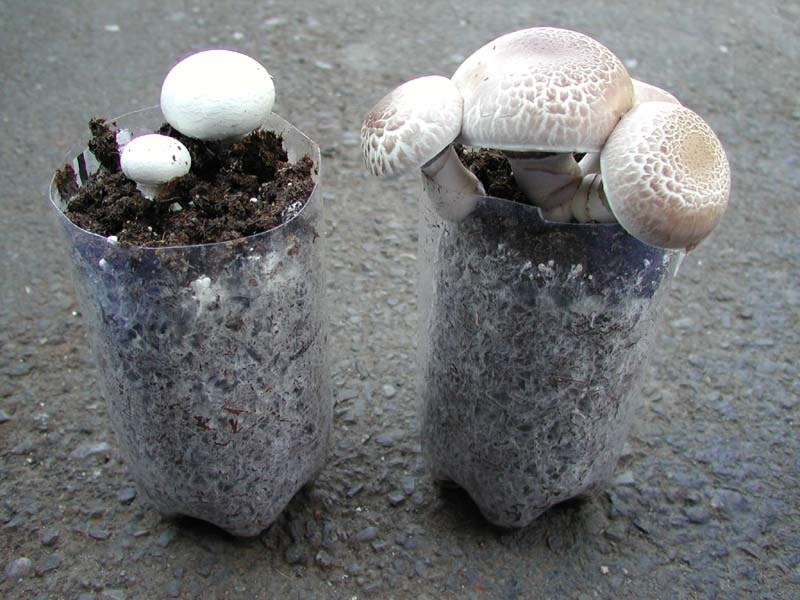 Growing the mushrooms in this fashion can give a person a better understanding of how mushroom grow. 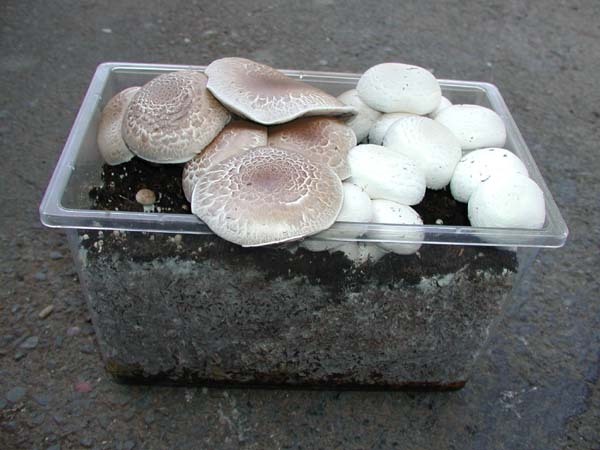 It is generally better to keep the container size ½ gallon or larger to maintain enough growing medium to fruit mushrooms. 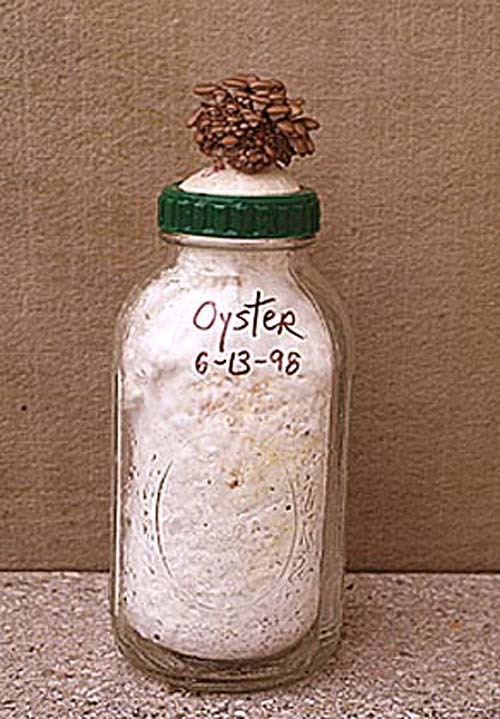 If you are not going to do an experiment, we recommend you leave the mushroom kit in its’ original container to grow. If the mushroom kit is divided into smaller containers, such as soda bottles, then any casing that comes with the kit must also be divided. Enjoy growing and experimenting with your mushroom kit.